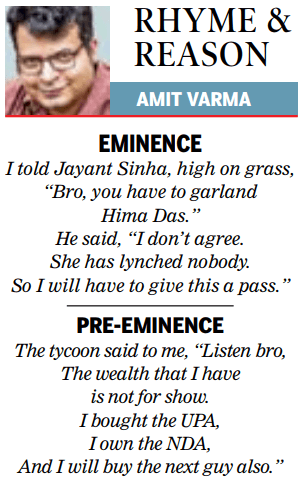 This is the 85th installment of Rhyme and Reason, my weekly set of limericks for the Sunday Times of India edit page. He said, “I don’t agree. The wealth that I have is not for show.